Attorney General warns that bill, if passed, would turn premiership into 'refuge for criminals'. 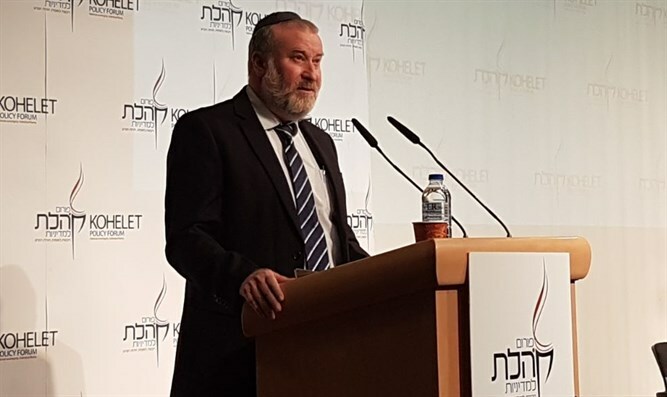 Attorney General Avichai Mandelblit again warned Tuesday against the Likud-backed initiative that seeks to prohibit investigations of sitting prime ministers. Mandelblit also noted that "The opening of an investigation against a prime minister depends on the personal approval of the most senior official in the law enforcement system - the attorney general, as does the decision to file an indictment. Moreover, these decisions, due to their nature, are made thoroughly and carefully. " Head of the opposition, MK Isaac Herzog (Zionist Union), said in response to the remarks that "Anyone who was hoping for a puppet has received a professional who acts without compromise to strengthen the rule of law. Attorney General Mandelblit's remarks about the ‘French Law’ are courageous. The law must be stopped! "